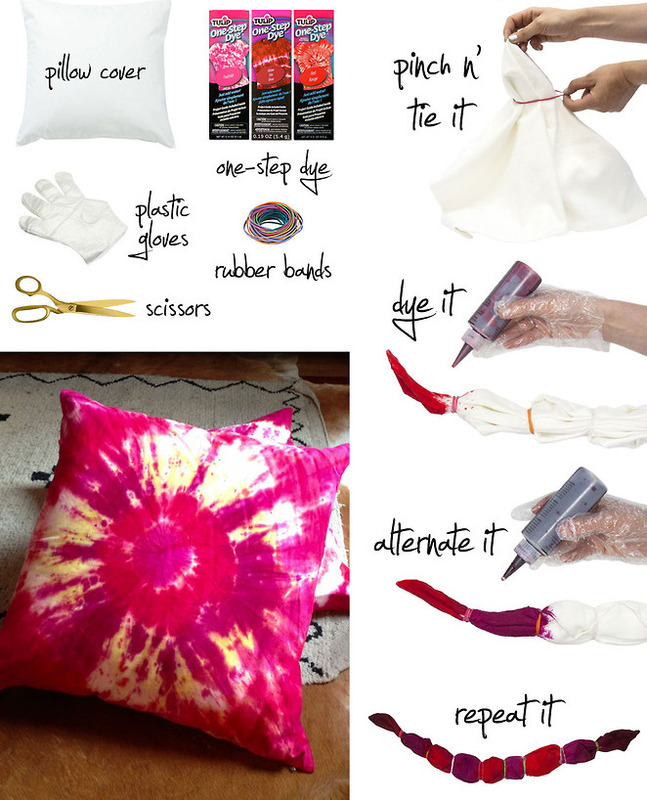 Make Your Own Pretty Tie Dye Pillows – It’s So Easy and Fun! 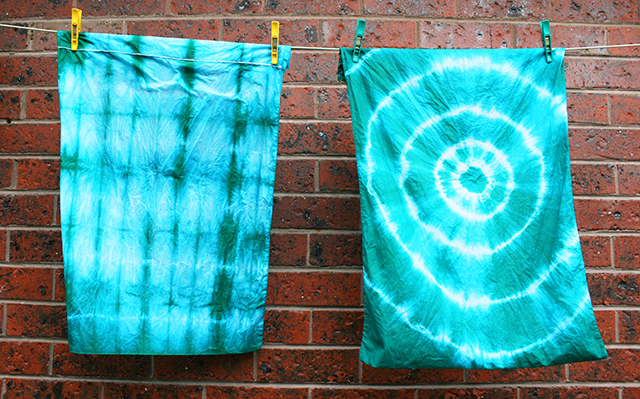 Tie dye is back, and it’s not only for t-shirts anymore! 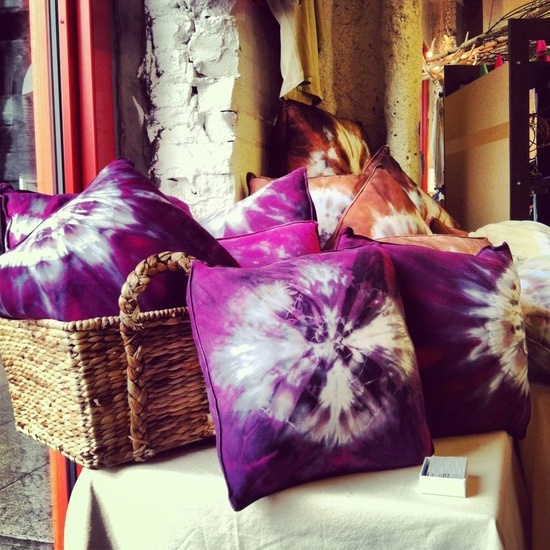 These tie dye pillows are super pretty, and they’re really easy to make, too. Make them in only a few simple steps, and in any color you like! These fun pillows are a great way to add color to your living room or bedroom! 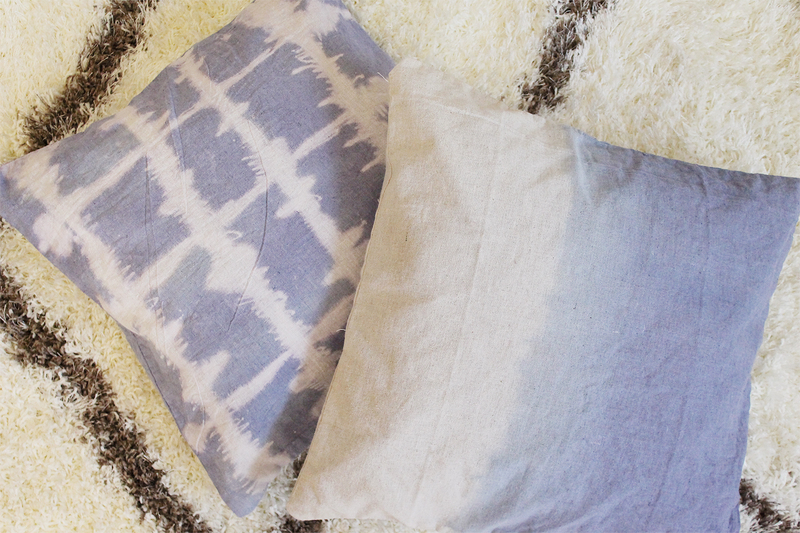 Recycle your old throw pillows and give them a new life with this easy project. Here are the simple instructions! Pinch the top layer of fabric from the center of the pillow cover. Wrap a rubber band around every 2-4 inches of the fabric. You’re creating sections to block out the dyes and make the pattern. Wearing gloves, mix the dyes according to package directions. Over a sink, squeeze the dye onto both sides of the pillow cover, alternating colors on each section of the fabric. Make sure you wring out any excess liquid. Allow the colors to set for 10 minutes. Cut the rubber bands and lay the pillow cover flat on paper until it has dried. Insert a pillow and you’re done! Make sure you wash the covers separately the first few times to prevent the colors from bleeding onto the rest of your laundry. If you’re stuck on ideas, take a look at these groovy pillows! 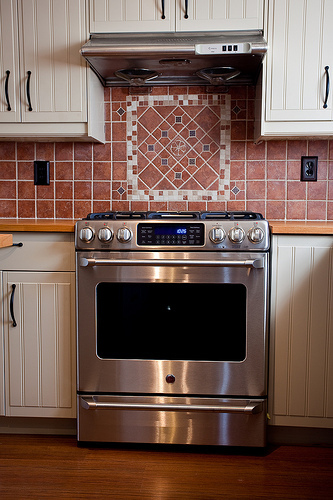 Photos: PS I Made This, Adorned Abode, Hammer and Heels, Tuts Plus.